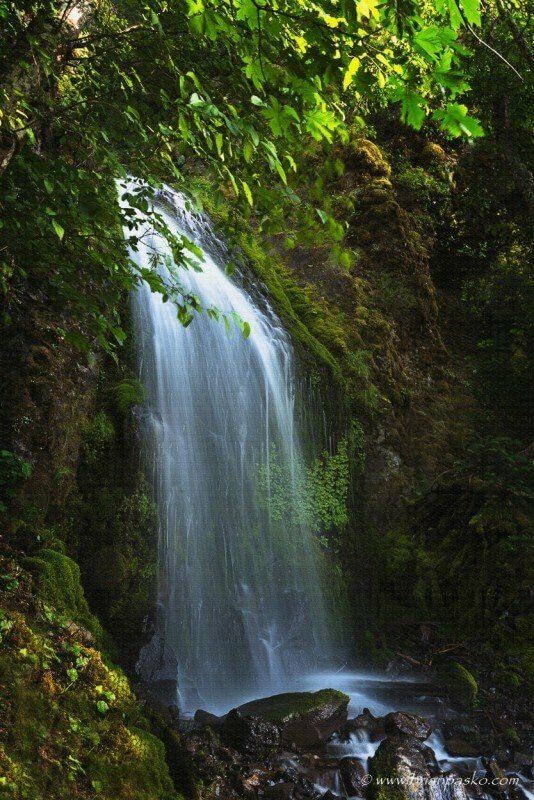 At 4,959 feet, Mount Defiance is the highest peak in the Columbia River Gorge, and the hike to its summit is known as one of the most difficult hikes in the Pacific Northwest. (In fact, one guide refers to it as “the mother of all day hikes!”). The trail starts at an unimpressive parking lot at the Starvation Creek Rest Area along Interstate 84. 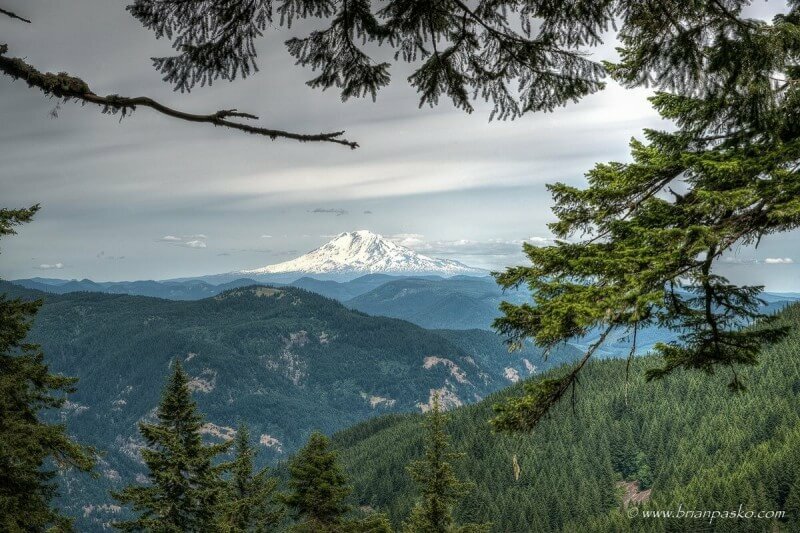 Not far from Bonneville Dam, the trailhead is a a mere 130 feet above sea level. But, it quickly climbs, and nearly 5000 feet and some 12 miles later you reach the impressive views found at the top of Mount Defiance. Against our better judgment, my wife and I set out this past Sunday to tackle this legendary tral. 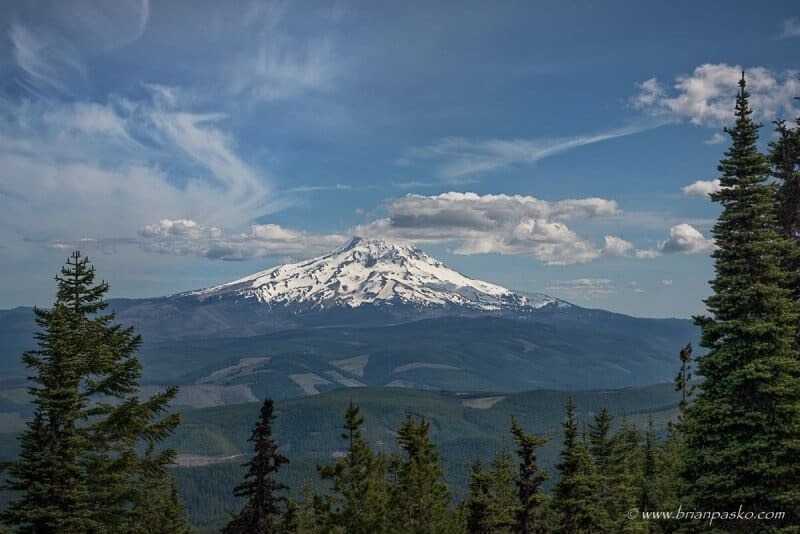 Here are a few images that document our adventure and the views of Mount Hood, Mount Adams, and an unnamed waterfall. (Click on the images to see larger versions).